Welcome to the December issue of the Downing IP Newsletter. In this issue we take a festive look at the latest news, featuring Cartier, Iceland and the latest updates on ratifying the UPC. 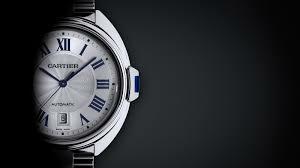 Cartier trademarked the brand in 1945 and are active in protecting their long standing reputation for high quality products. Citing trademark infringements, counterfeiting and deceptive practices, Cartier has asked for a permanent injunction, statutory damages of $2m per mark, punitive damages, full costs and attorney’s fees. The move comes after it was found Jewellery Unlimited were altering watches after market without permission, invalidating warranty and deceiving consumers about prices. However longevity of a trademark does not equate to invincibility. Supplying frozen foods for the last 46 years, supermarket Iceland have no w come under attack from the Icelandic Government. They are concerned that Icelandic businesses are unable to promote themselves across Europe in association with their place of origin. The European trade mark was granted after lengthy application and opposition period lasting from 2002 - 2014. The hope is a settlement can be reached that means the supermarket Iceland can continue trading under their name, and open the doors for Icelandic companies to promote their items. For decades there have been negotiations on creating a European wide patent, rather than a bundle of national patents. It was decided the Unified Patent Court would come into force once a significant number of EU countries had rat ified it (UK and Germany have yet to give their consent). Finally, we hope you enjoy the patent free Christmas joys of stockings, nativities, puddings and crackers.